"Loved the camel ride and balloon experience. Michael is very informative and compassionate...."
"I had the time of my life in Egypt"
"Had a very good time! Thanks to TravelTalk and excellent tour guide Sameh!" 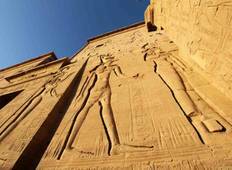 "My boyfriend and I just had an amazing holiday on the King Ramses tour. I cannot..."
"Loved it.!!! The accommodation was awesome, our tour group was A++, the pyramids,..."
"Had a great time in Egypt!" "Great value, the group was a good size and we saw all we had wanted to see"
"Love my tour in Egypt. 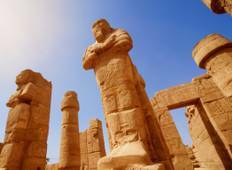 Mariam, our guide was helpful and knowledgeable about the..."
"The train was tiring and long and the food was gross, but I would say you have to..."
"It was about a year ago now, that I did the Egypt Explorer Tour with Expat Egypt...."